April 10: The Sabers' quest for a repeat trip to Mankato begins in earnest against a Tigers team that still has four players who won a Class 4A title two years ago. Lakeville North vs. Lakeville South, 4:30 p.m. Wednesday, April 10. Nothing like an intra-city rivalry to kick off a new season. Lakeville North (0-0, 0-0), the defending Class 4A, Section 1 champion, and Lakeville South (0-0, 0-0) will be playing just their second game of the season by Wednesday. North Branch vs. Chisago Lakes, 4:30 p.m., Tuesday, April 9. North Branch (1-0, 1-0), last season's Class 3A state tournament runner-up, looks to jump to a 2-0 start in the Mississippi 8 Conference against league foe Chisago Lakes (1-0, 1-0). Chanhassen vs. Chaska, 4:30 p.m., Thursday, April 11. Chaska's home opener concludes a brutal first week after contests at New Prague and Benilde-St. Margaret's. Chanhassen (0-0, 0-0) travels to Buffalo on Tuesday before meeting the Hawks (0-0, 0-0) in this Metro West Conference rivalry. The MN Softball Hub poll is for entertainment purposes only. The Falcons' senior pitcher McKayla Armbruster threw 10 strikeouts and no walks in six scoreless innings. Julia Gronholz hit a two-run homer to help the Storm surge back to edge the visiting Trojans 4-3. We select the athletes with some of last week's most impressive performances. You decide which player had the best outing. April 16: The Storm, three years removed from a state title, tests its mettle against West Fargo, a program with 20 state championships in 21 years. See who fans voted as the top performer from April 1-6. 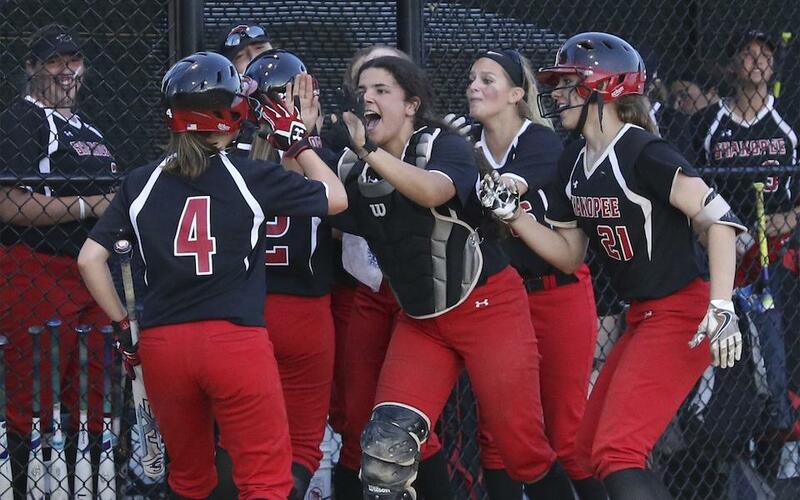 ©2019 MN Softball Hub | High School Girls' Softball News, Scores & Standings / SportsEngine. All Rights Reserved.